Checkpoint blockade immunotherapies are mostly applicable for cancers with high mutation burden. 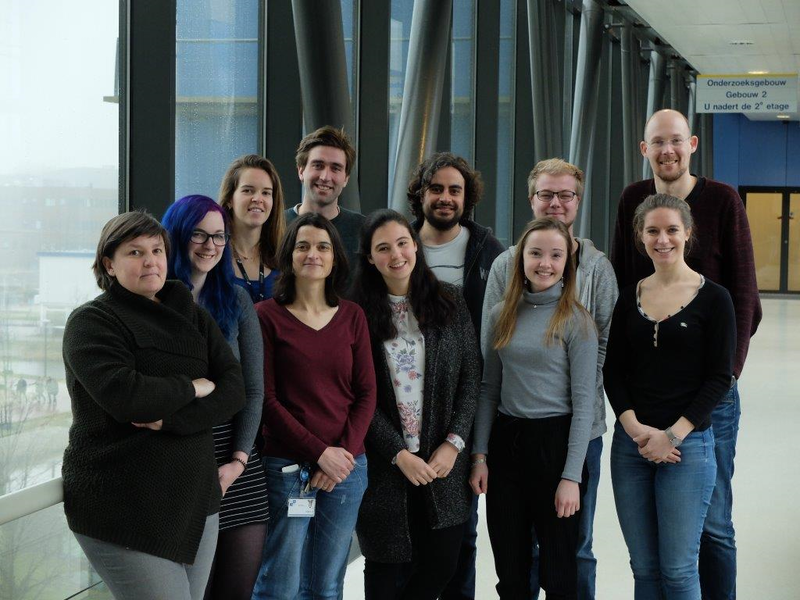 Our group is trying to develop strategies that activate immune responses in poorly immunogenic tumors by using cancer mutated antigens (neoantigens) as therapeutic targets. For this, exomes and transcriptomes are screened by next-generation sequencing technologies and mutated proteins are tested for their ability to induce immune responses in T cells derived from patients. The make-up of a tumor’s immune microenvironment is highly complex and diverse, particularly in cancers originating in mucosal tissues. 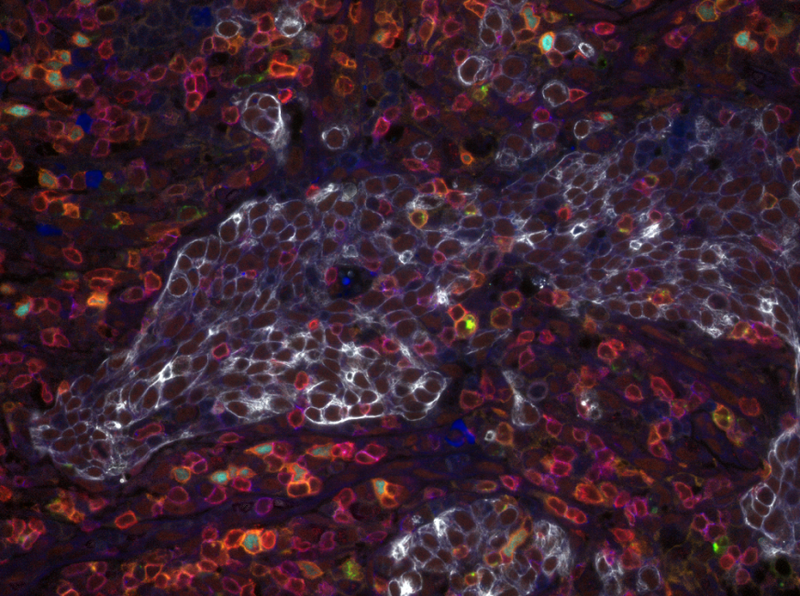 We apply state-of-the-art single cell and imaging mass cytometry as well as spectral immunofluorescence to comprehensively characterize immunophenotypes in colorectal and pancreatic cancer. 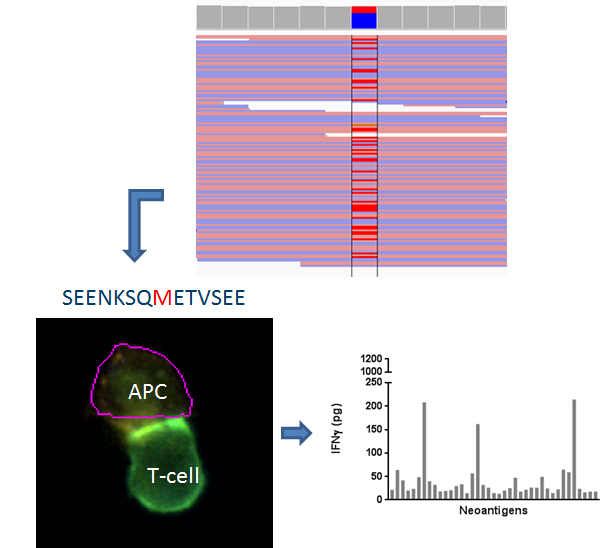 To date, we have discovered immune cell subsets that might carry important anti-tumor capacity and which could be exploited from a therapeutic point of view.